Over the years, 3 Marthas has become known for beautiful appliqués that delight modern mothers, while retaining our classic, hand-made appeal. 3 Marthas is loved by many who appreciate the incredible quality and innovative designs. We are all about mixing the old with the new and the practical with the beautiful to create products that parents will use with joy. 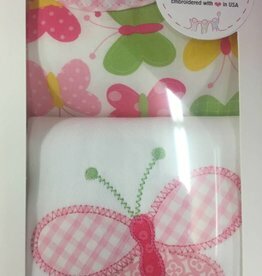 Our products include: hooded towels, burp cloths, bibs, onesies, newborn gowns, blankets, gift sets, chalk mats and laminated aprons.